Use Control+F to navigate from section to section for convenience. 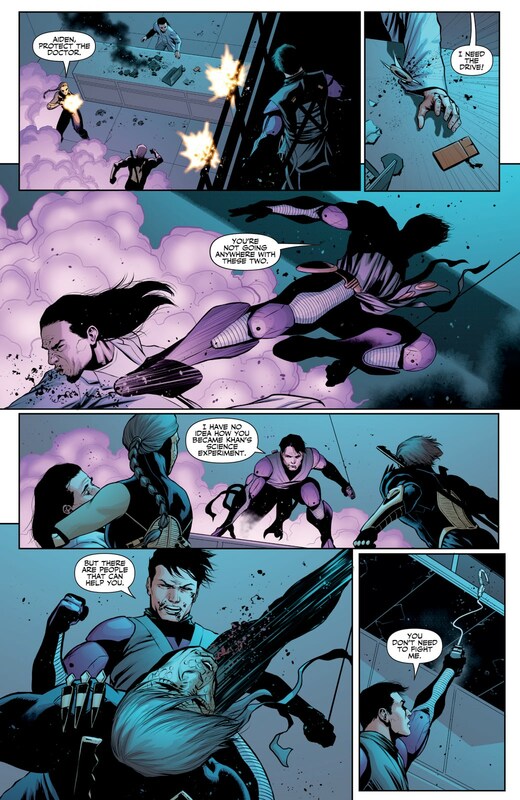 Ninjak is an Olympic-level athlete. 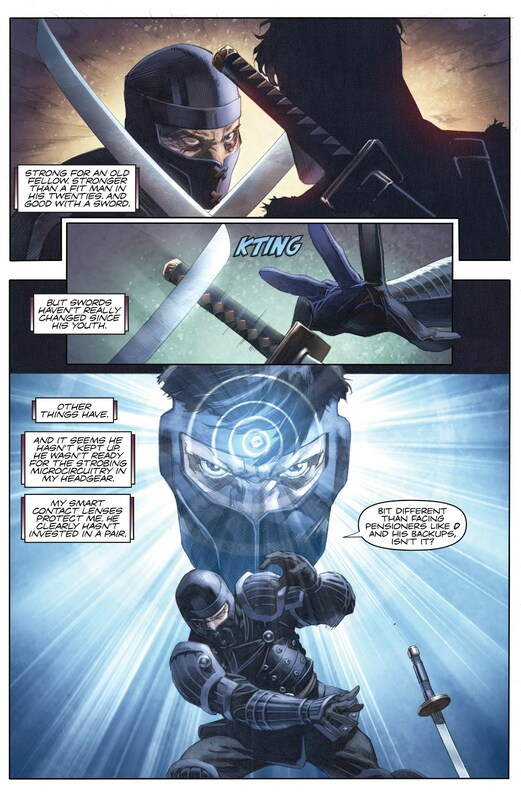 Ninjak is described by Christos Gage as having skills "way beyond even the most elite olympic athlete or special ops soldier." and someone who can "take a beating that would kill anyone else and keep on fighting." Quartz is basically well beyond the peak human/slightly superhuman 1-2 ton range. 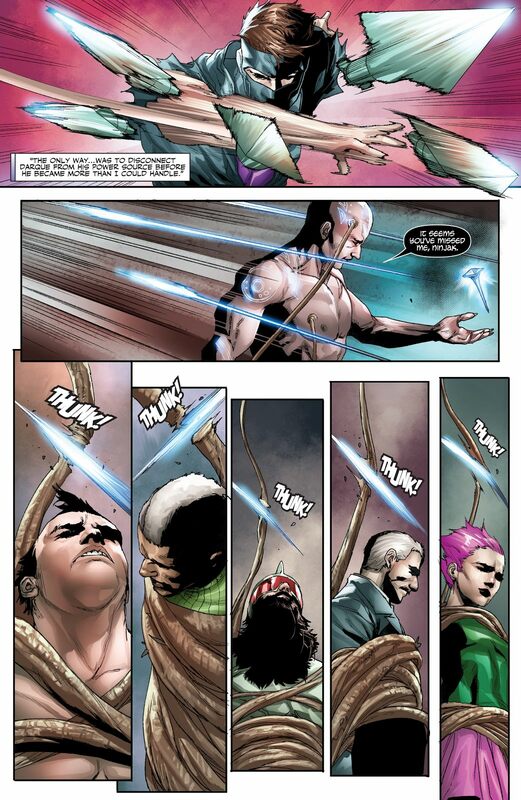 He has oneshotted the Eternal Warrior and considered Bloodshot a nuisance. 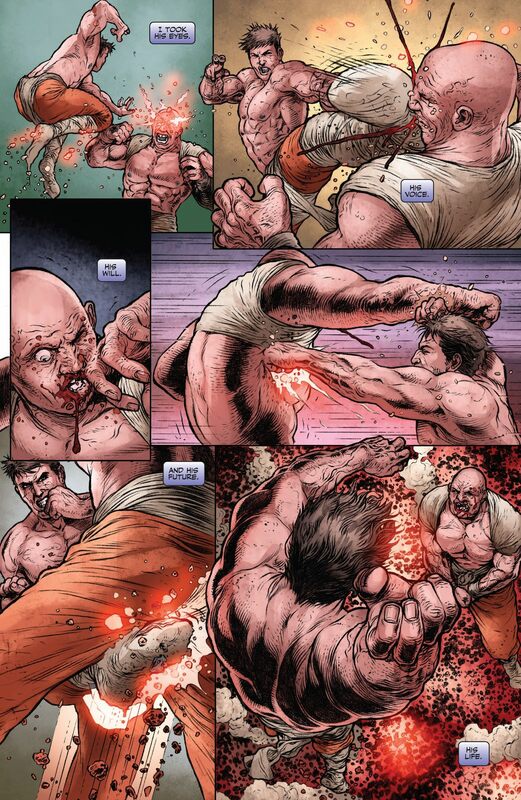 Bloodshot is superhuman and strong enough to rip off arms and spines. 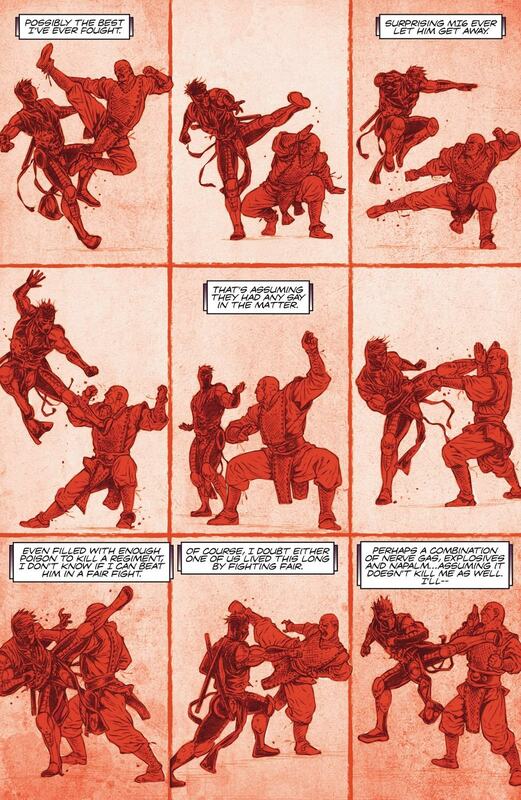 The Eternal Warrior is also superhuman and can smash through metal and punch people through walls. Quartz' other feats include smashing a suit of X-O Manowar armor into a cliffside, flinging a man across a room into a wall just by turning around, and no-selling two point blank shotgun blasts in the face, which are all in that last album. 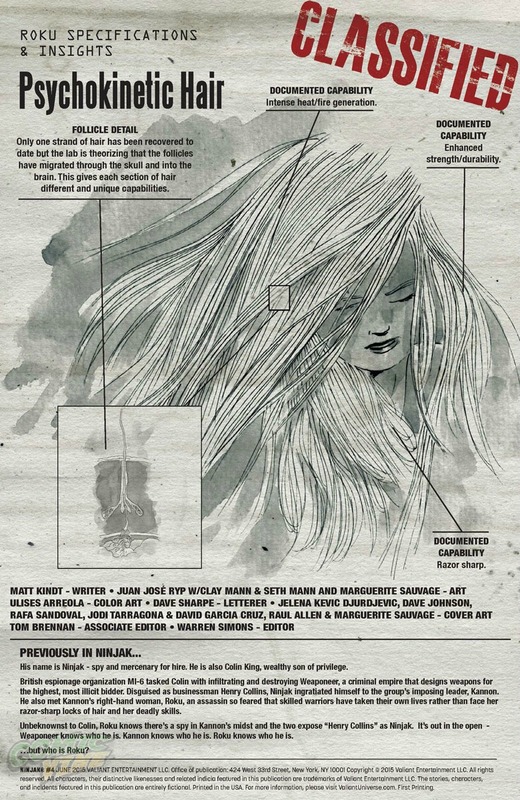 The above is further clarified in Valiant Universe Handbook 2016. 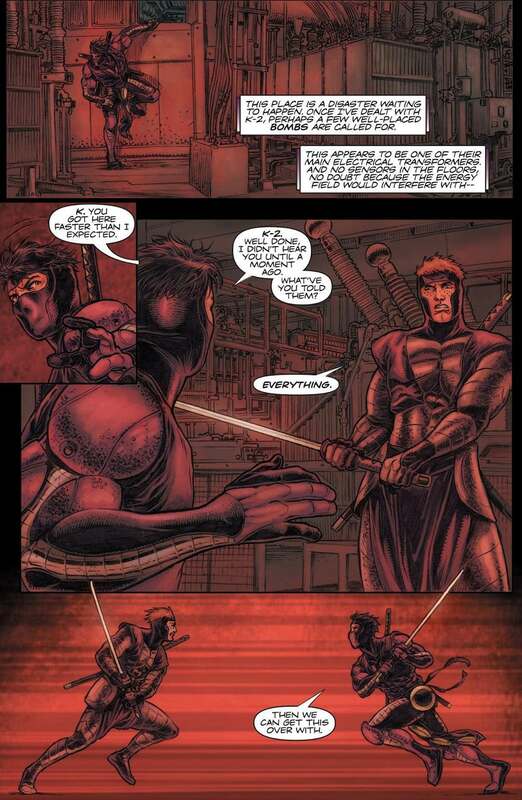 Ninjak is thought to be immune to modern torture and interrogation techniques. He appears to lack any real emotions and any he does show are considered to be purely artificial. He is also noted as having incredible pain tolerance. “Subject is not susceptible to torture and interrogation techniques due to his inability or unwillingness to tell any simple truths." "Psych profiles are inconclusive but reports indicate a lack of true emotional responses to any stimuli. Any “feeling” shown by subject is thought to be purely artificial." "He shows incredible propensity for pain management and is unflinchingly -- some say too eager -- able to deal pain (both physical and emotional) to his targets." 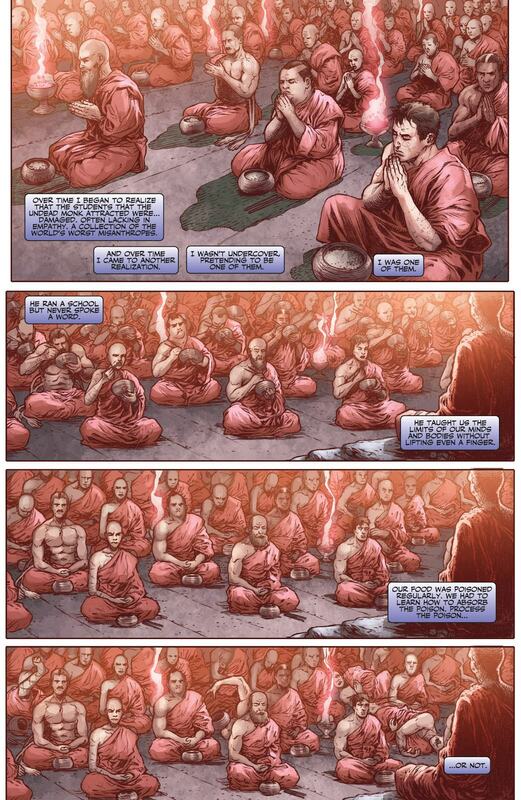 "Subject's tolerance for physical pain is nearly as limitless as his tolerance for emotional suffering. Hundreds of healed fractures of unknown origin are a testament to this." 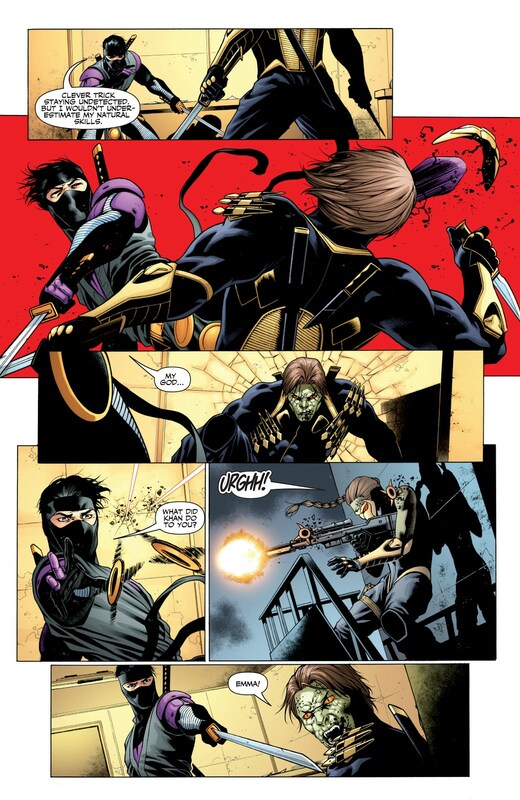 Ninjak blitzes two students of the Undead Monk. 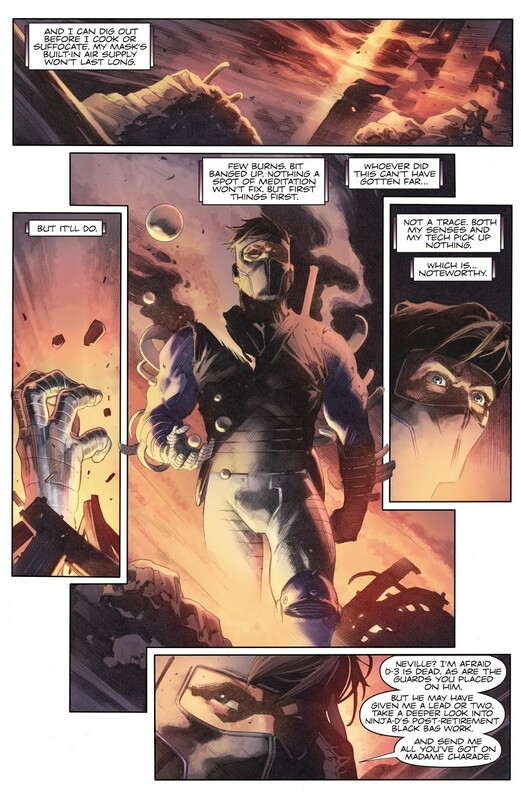 Ninjak is capable of accessing every piece of knowledge and every memory he has ever experienced, and use this knowledge to come up with a solution to any given situation, in a split second. 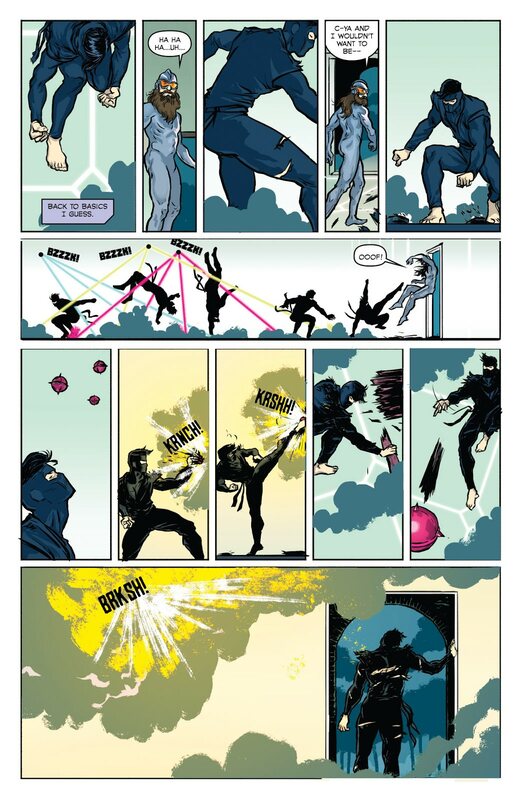 Ninjak identifies the smells of gun oil, sweat and jet fuel, and thus senses that home invaders have infiltrated his castle, bypassing his security sensors. 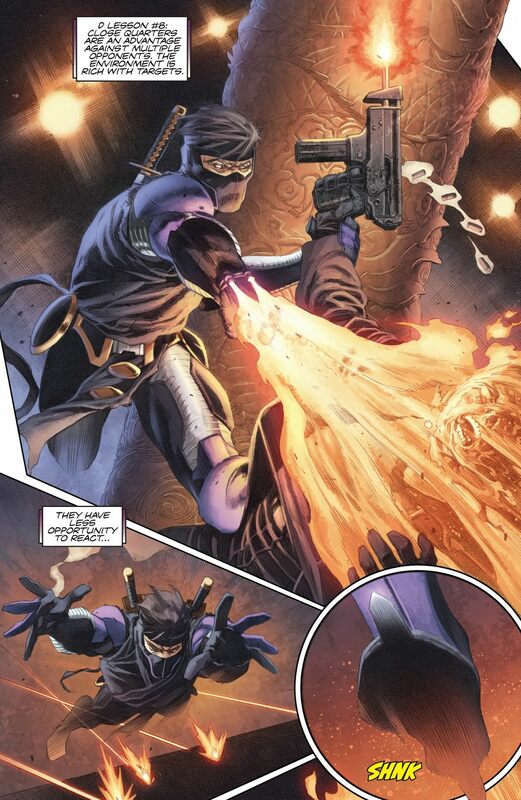 Ninjak is a master martial artist and a weapons expert. 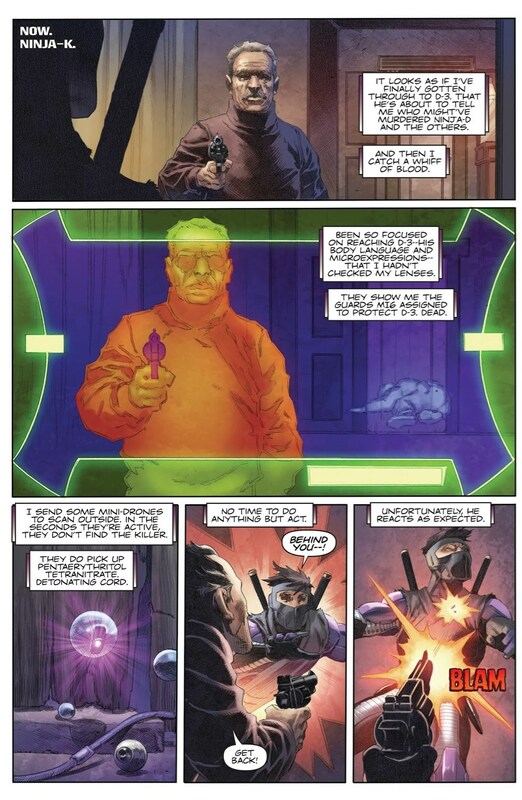 His skill and cunning is among, if not the, greatest in British Intelligence, the entire Clandestine community, and the Valiant Universe itself. 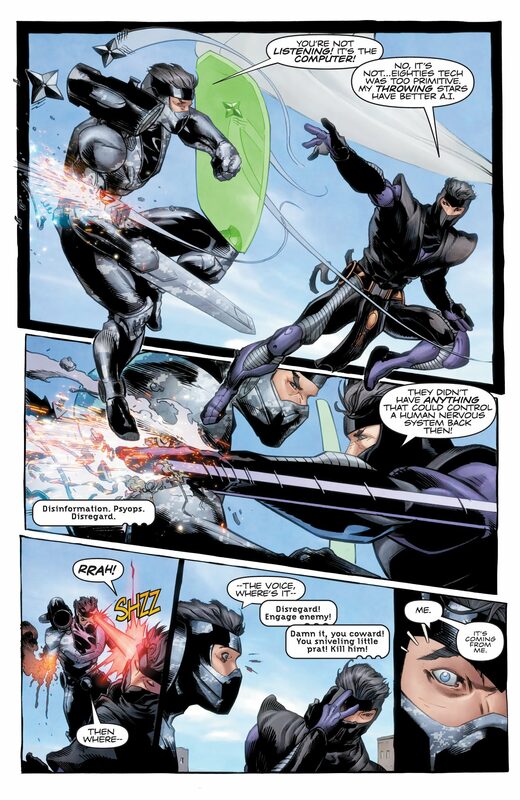 Ninjak completed a number of extremely sensitive, critically important missions for British Intelligence over the course of a few years. 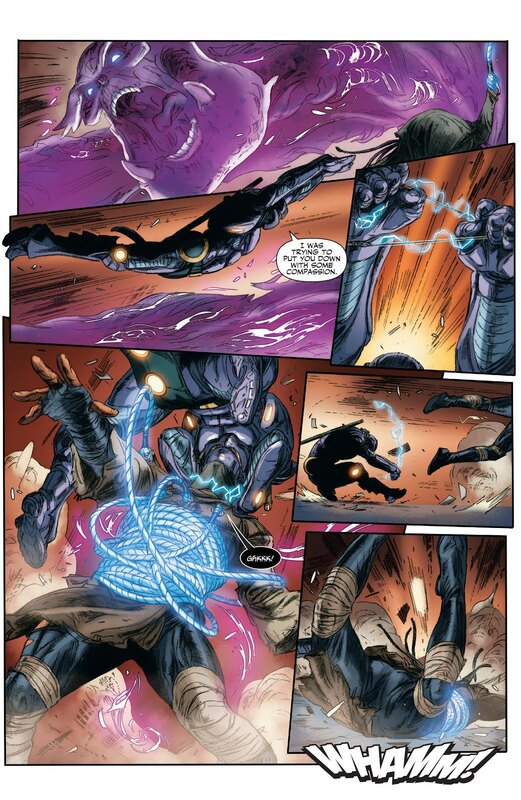 He is regarded as highly intelligent, an incredibly gifted martial artist, and a physical force to be reckoned with, having gone toe-to-toe with numerous superhuman opponents in the Valiant universe, including but not limited to X-O Manowar and Toyo Harada. 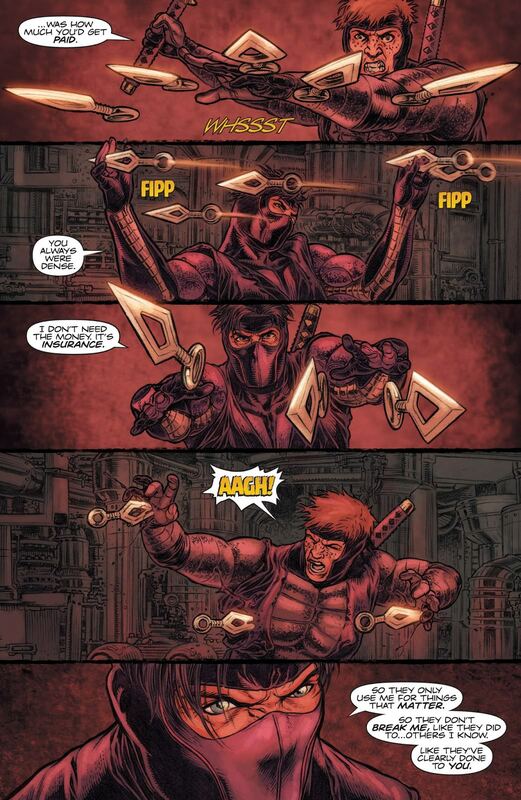 Ninjak is an Nth-level master of Ninjutsu. 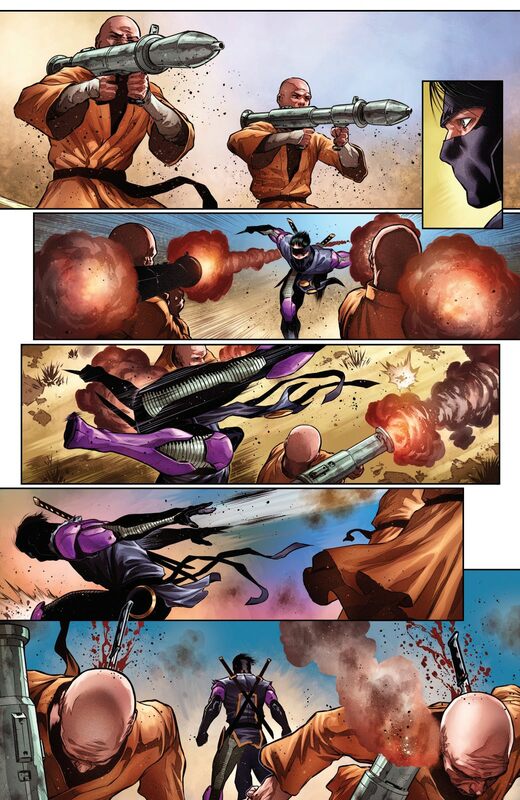 "Being an Nth-level agent trained in the black arts of Ninjutsu--there's only one thing I hate... cameras." 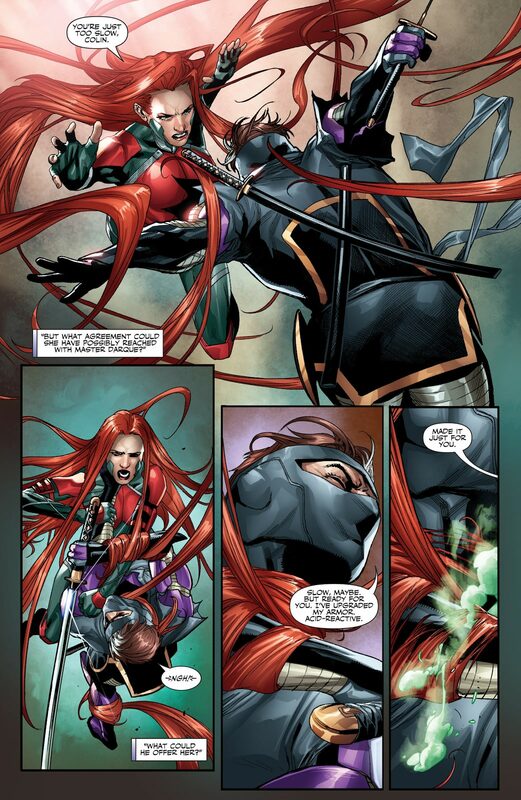 Ninjak is expertly trained in the use of every weapon and fighting discipline on earth. 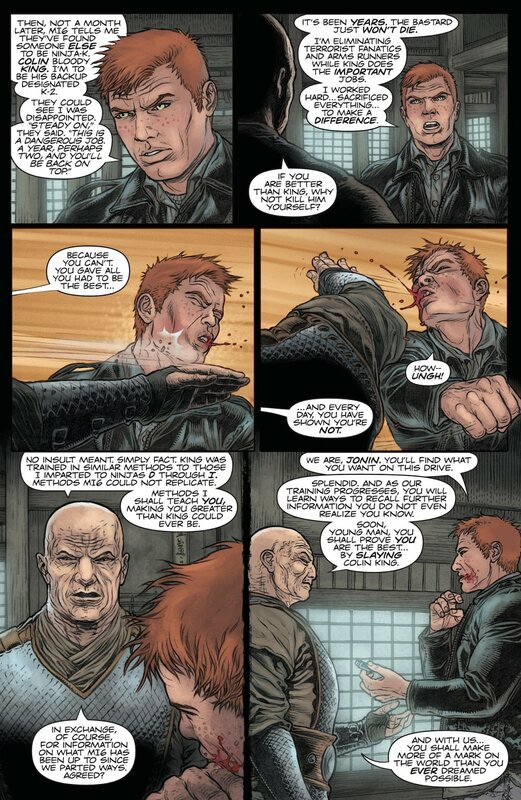 "Expertly trained in the use of every weapon and fighting discipline." 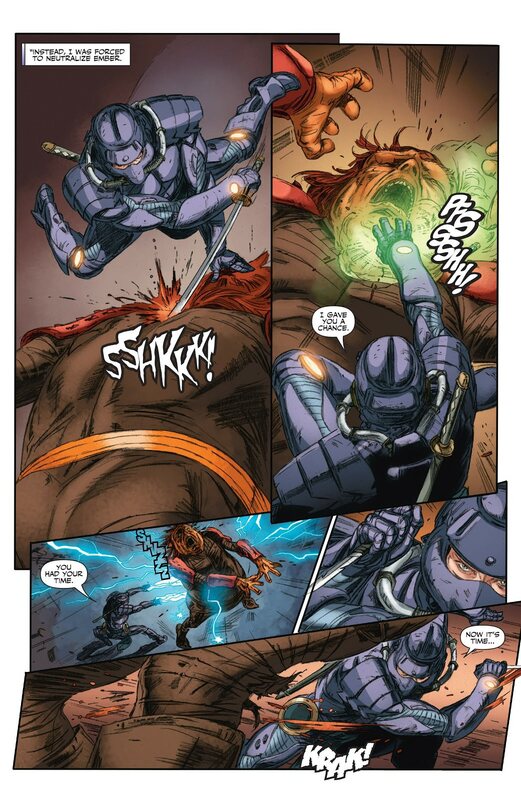 Ninjak has mastered countless forms of armed and hand-to-hand martial arts combat. 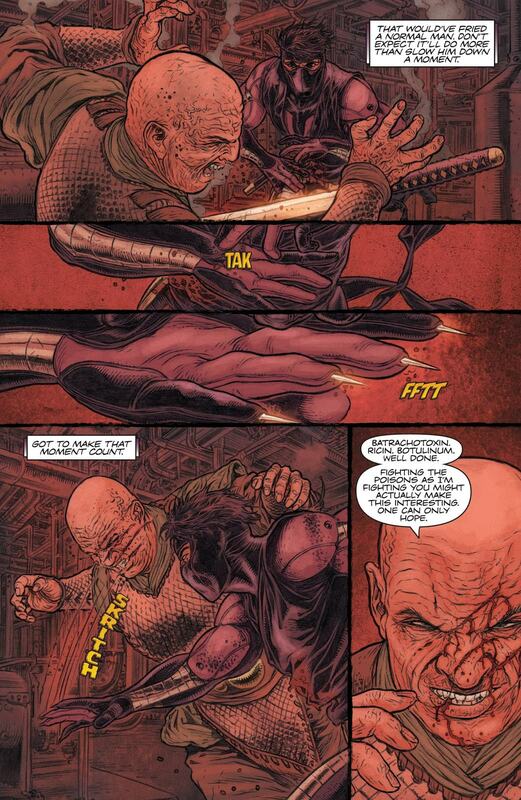 "NINJAK--Colin King, a sophisticated British super-spy who's mastered countless forms of armed and hand-to-hand martial arts combat." 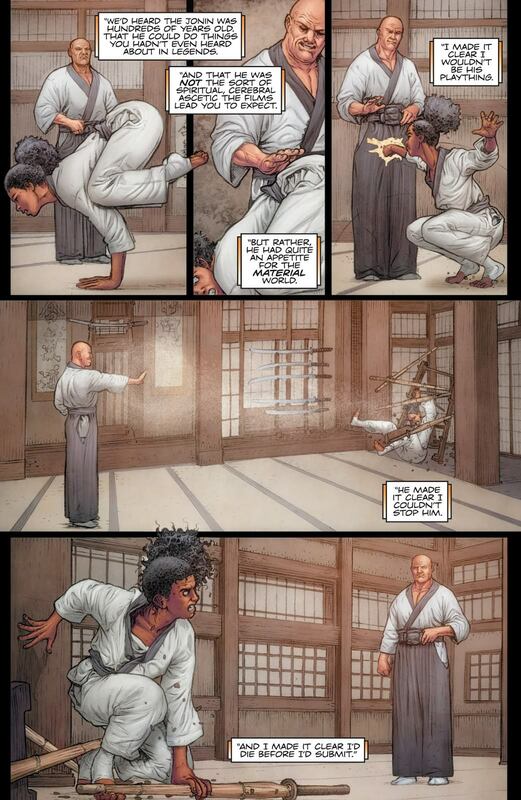 It is confirmed repeatedly that the training offered by the Undead Monk transcends any conventional martial arts training available. 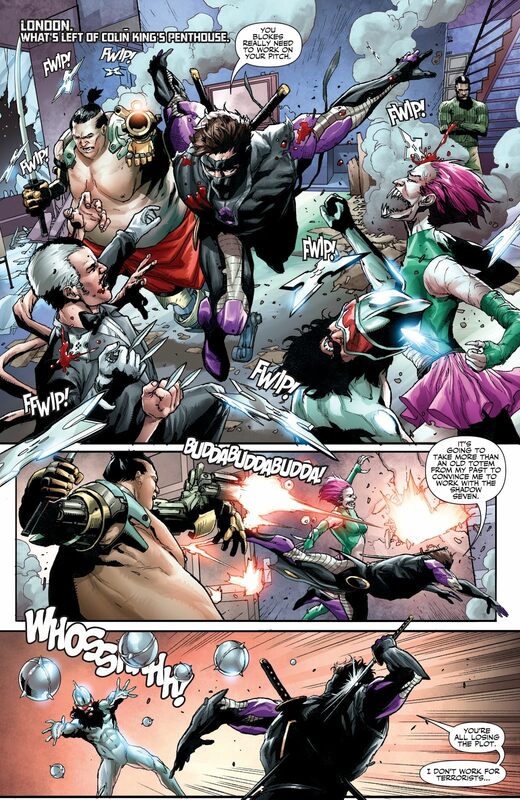 The Rogue Fitz clone went from having a hard fight with one fellow clone to stomping five of them after the new training, because he had "surpassed anything they had accumulated", despite the fact every clone has "master-level skills in every known form of combat. 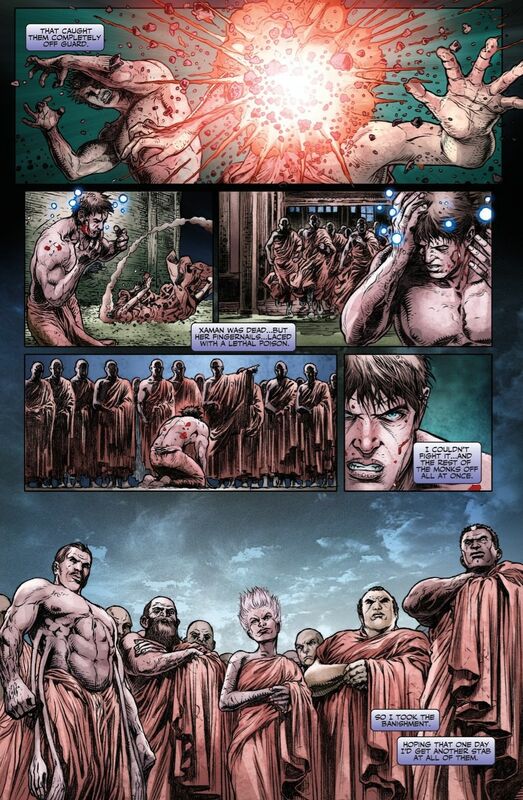 ", and their physical stats were "more advanced than anything the Undead Monk could offer." 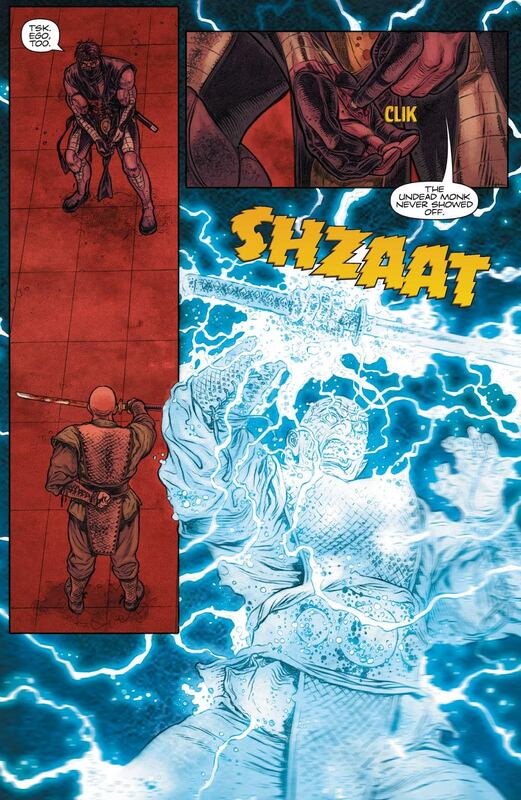 Again, it is reiterated by the Valiant Handbook that it was the Undead Monk's training that let him surpass the other clones, despite him already being a "master of all known martial arts." 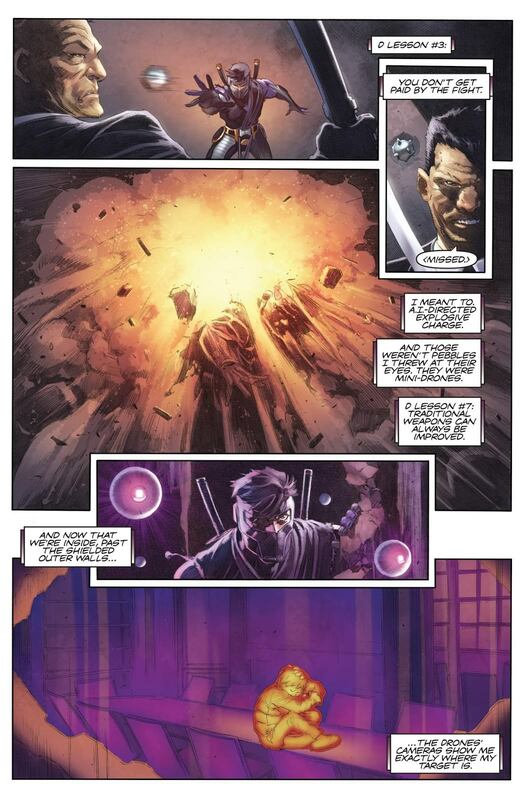 Additionally, Ninjak's training under the Undead Monk completed his "mastery of the martial arts", and is what transformed him from a normal agent into someone who could become the lead Ninja agent in MI6. "Your target is Agent Roku. She's being held in a temporary Russian portable containment center. I've got to warn you that you haven't faced an agent like her before. Some reports indicate she feels no pain. Others indicate that she actually enjoys it. She is a master of improvisation. And she's had genetic tailoring--making her hair unique. Braided together, she can garrote or behead a man with only three strands. It can cut through metal and it has... incendiary capabilities. Early reports indicate that she took out most of the Russian guards by simply suggesting, via the intercom, that they kill themselves. The prison was kept at sub-zero temperatures in an effort to slow her metabolism. She has no clothes. No weapons. Just her body. And her mind. 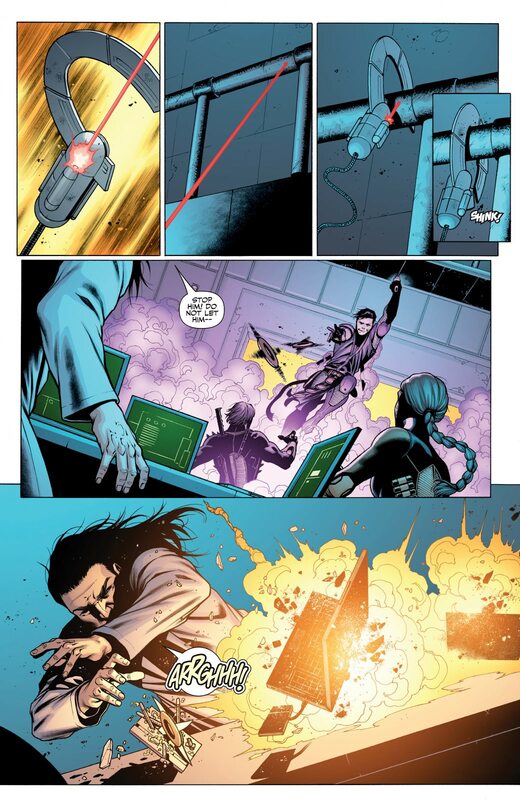 In addition to being a weapons and martial arts expert... she is a communications and electronics savant. She is in every way either your equal... or your superior. Roku was too dangerous to transport, so they built a prison around her at her current location. Under the current conditions, we estimate her total incarceration time in the Russian portable prison to be less than two hours." 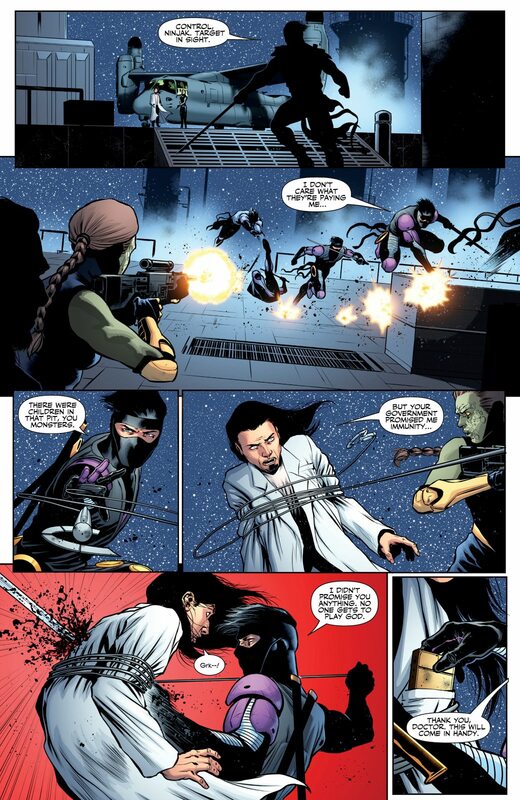 "[Ninjak] also met Kannon's right-hand woman, Roku, an assassin so feared that skilled warriors have taken their own lives rather than face her razor-sharp locks of hair and deadly skills." Further information on the Eternal Warrior's skill, including his mastery of over 500 fighting styles and proficiency in nearly 2,000 more. 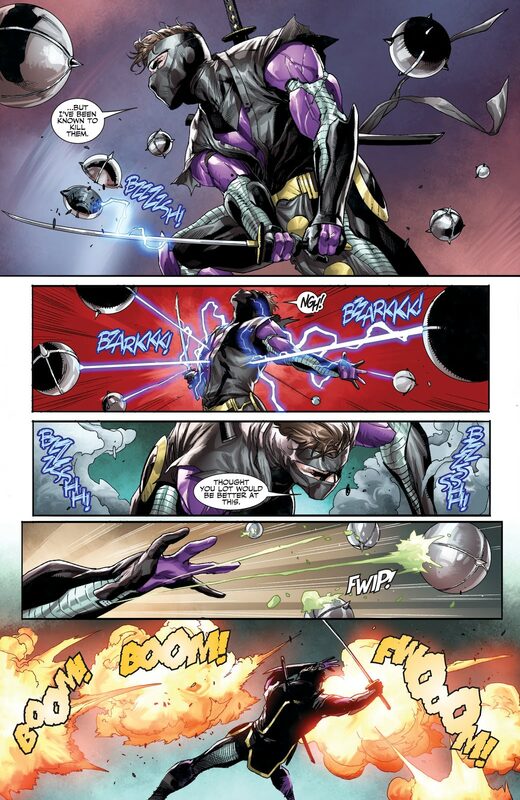 Ninjak's skill in hacking is without equal. 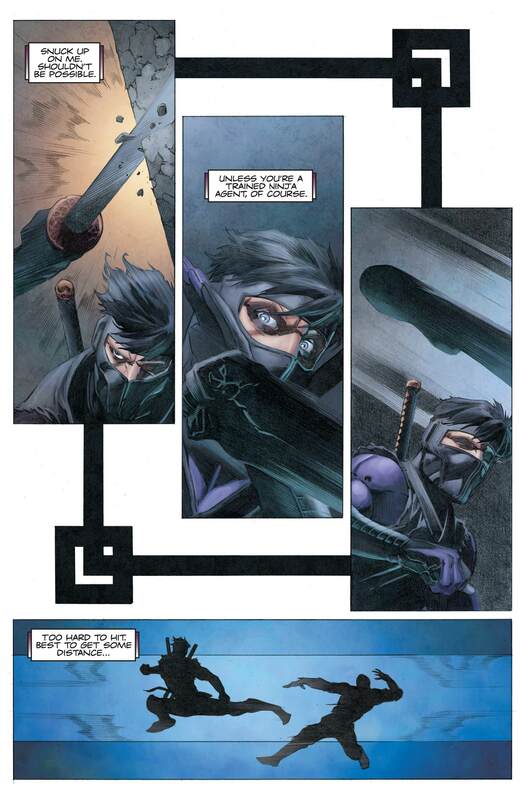 "[Ninjak is] able to utilize his seemingly innate hacking skills to effectively navigate the darker corners of the intelligence community..."
Marked under "now" are the communications between Livewire and Ninjak while he carried this plan out. 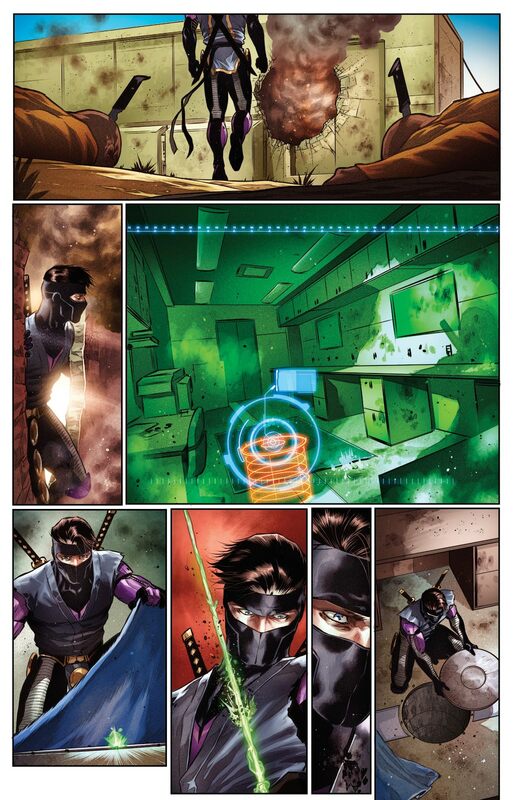 Marked under the other headings are flashbacks Ninjak went through in the space of a few seconds while constructing this plan. San Fransisco. 3 years, 2 months ago. Shaggy: “Yeah, yeah. Solar-powered audiowave generator with self-generating energy source. It’ll run forever and broadcast any signal it’s connected to. All the size of a belt buckle. It’s one of a kind. And the blueprint is destroyed, just like you asked. It’s a shame, though. That’s some cutting edge tech. You could make a fortune if you weaponized it. A toxic payload that only affects high-end technology. Very dangerous. Switzerland. 1 year, 16 days ago. Tokyo. 5 years, 6 months ago. King’s Castle, London. 8 months ago. Hong Kong. 2 months ago. Himalayas. 10 years, 3 months ago. Site of the rarest and oldest living cactus. Smart Boots and Gloves use electrified hair-polymer to grip and release on the microscopic level. 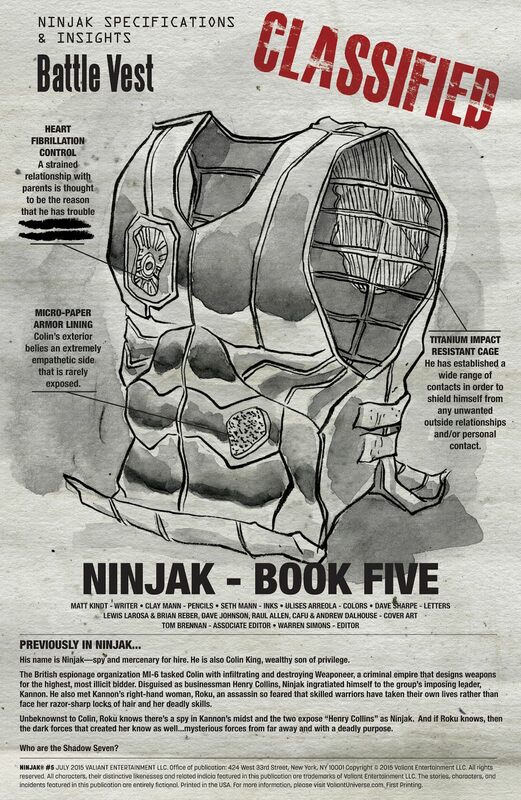 Ninjak's mask has a built in air supply. 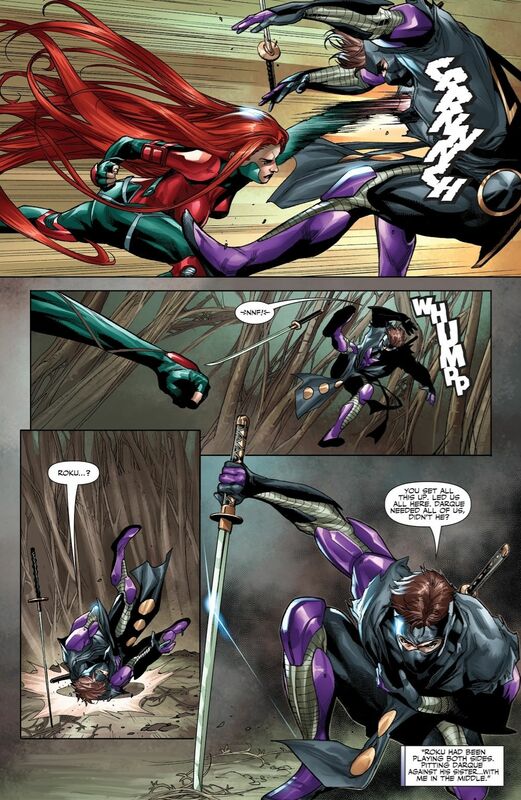 Ninjak's katanas are made from a super-metal beyond that of any conventional earth alloys. @beaconofstrength: But... but I thought I was first... damn you and your 16 second lead! Nice work. He also has a Taser on his swords hilt. 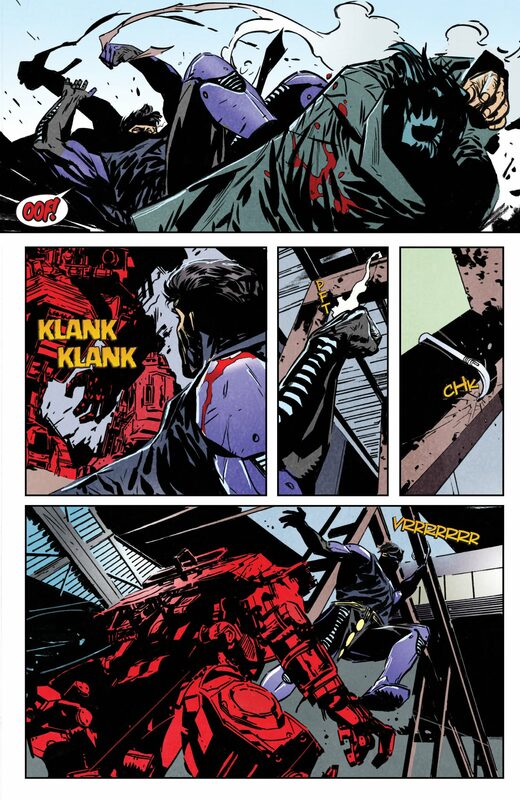 Look up his one page preview for The Valiant. 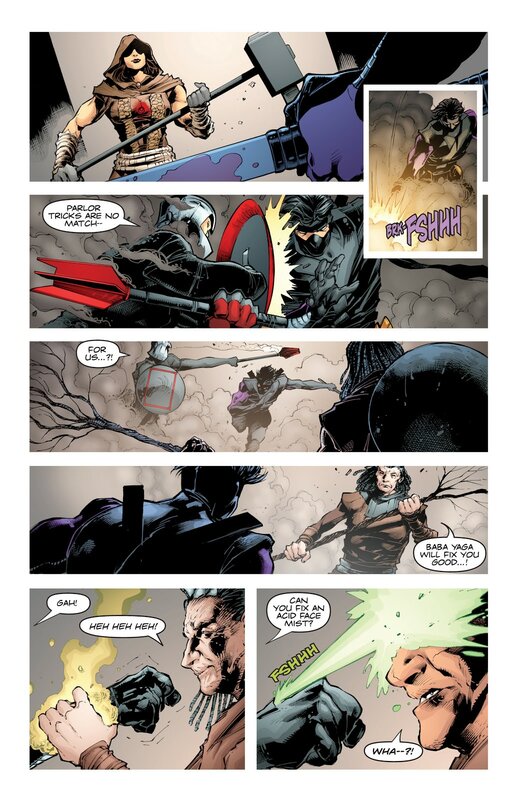 @allstarsuperman: Any idea where I can find it, and what issue for The Valiant? Great work. Admittedly I knew very little about this character. But this is fantastic! Thanks. 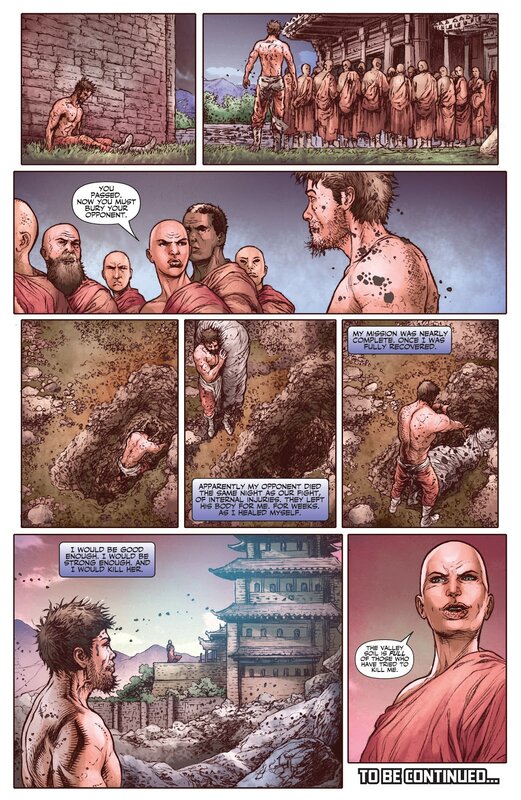 Do you guys now accept Ninjak as your Lord and Saviour? @i_like_swords: I only accept Big Boss as my lord and savior. Don't try to corrupt me with your inferior false prophet. 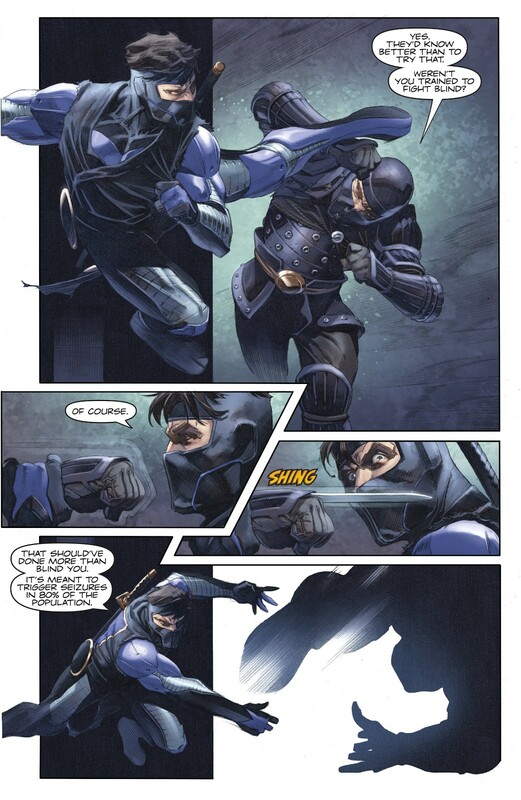 Ninjak is still pretty cool, though. 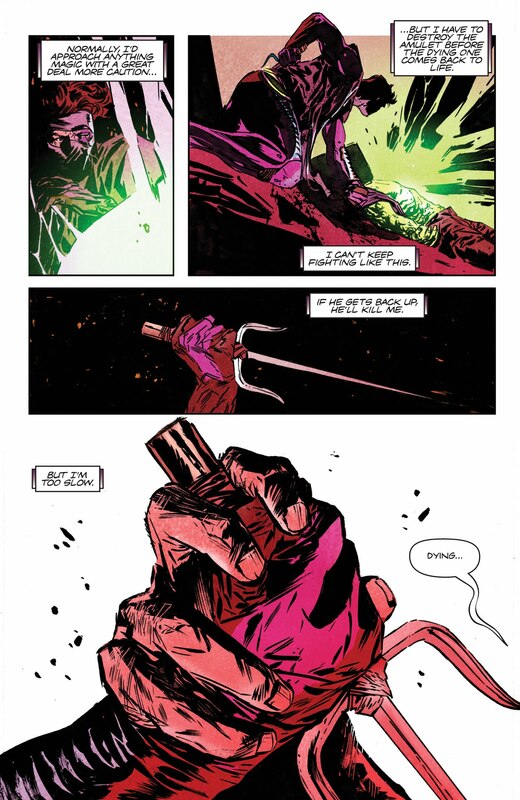 @i_like_swords: All hail the Bat-God and his omnipotence! 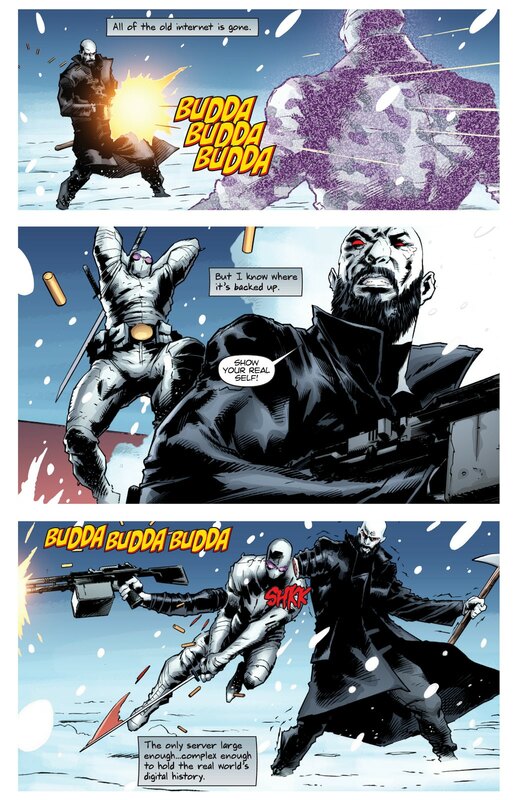 You had me at Ninjak. I'm not all that up for respect threads, but it's always nice to see a relatively unknown awesome character get the spot light. 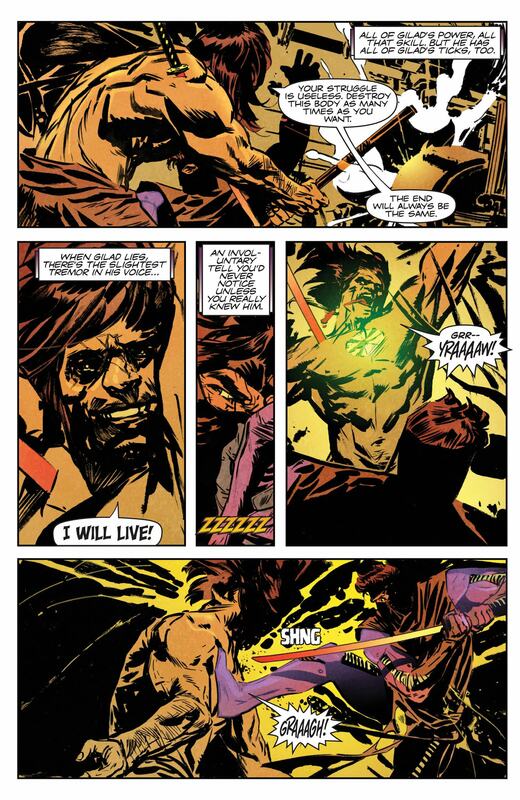 I've only read some of him while reading X-O Manowar series. Great respect thread. I been want to know this character. @ccraft: I mostly made it because I want him to have more respect/renown on the battles board, and to give the character more exposure. Hopefully I managed that! @i_like_swords: Will this be updated? @i_like_swords: Almost not the answer I was expecting. I am relieved you are still going to update this. This thread makes me so happy. Been updated. Always adding more to it. 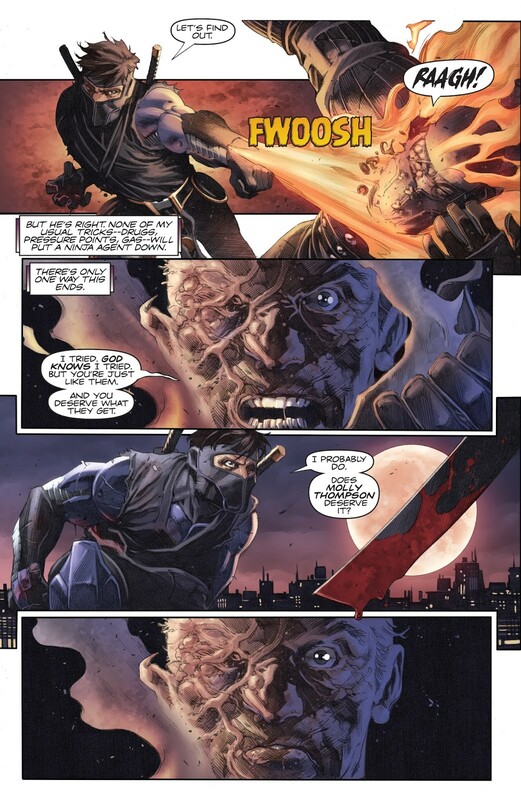 I still need to finish Ninja-K, probably catch up with Unity and wherever else Ninjak has appeared. Tell your friends, tell your parents, tell the stranger down the street. This took some serious hard work. I'm impressed. @renny: Thanks. 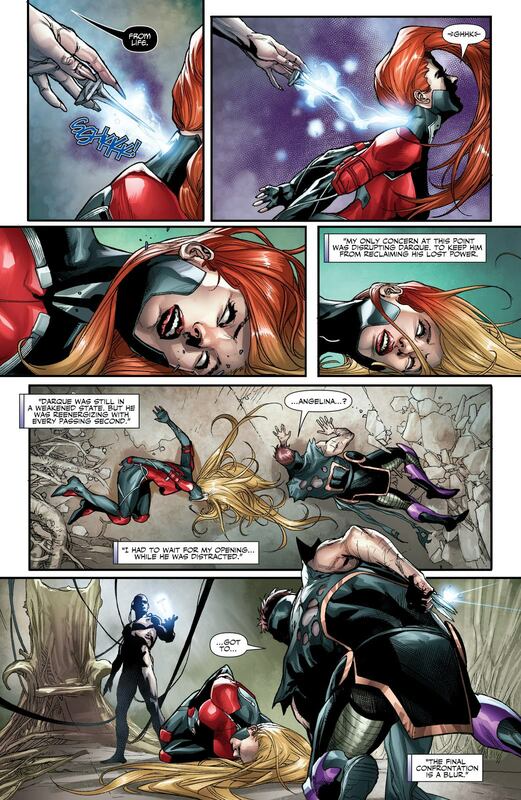 Eventually I will binge read through the comics that have come out since my last edit and there will be even more. i_like_swords has not linked a Twitter account.